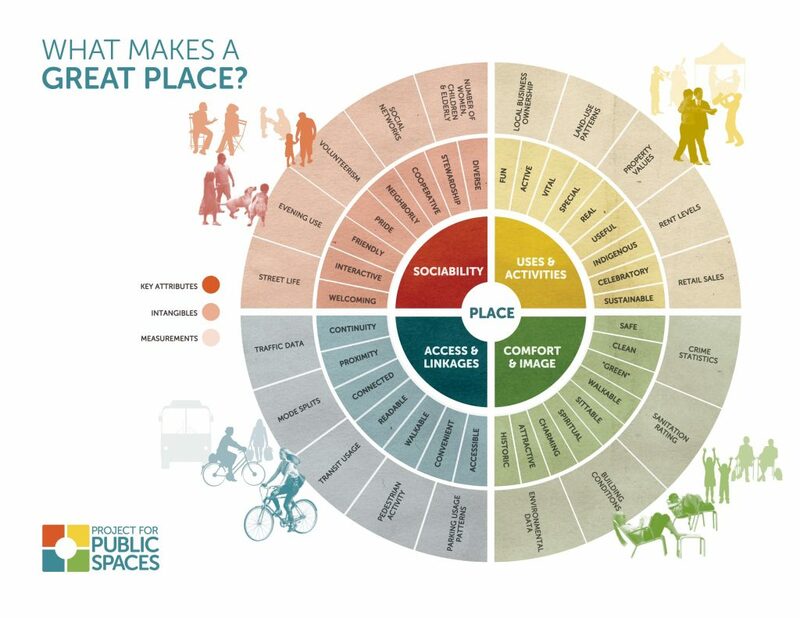 An important aspect of placemaking is taking into account inputs of the people who will be using the public space most. That is, to say, the community for which the public space is intended. This is important because members of the community are likely to have useful insights into how the space does – or should – function, as well as a historical perspective of the area, and an understanding of what does and does not matter to other members of the community. Placemaking is not just about designing a park of plaza with efficient pedestrian circulation. It involves taking into account the interrelations between surrounding retailers, vendors, amenities provided, and activities taking place in the space, then fine-tuning the space with landscape changes, additions of seating, etc., to make all of those elements mesh. The end result should be a cohesive unit that creates greater value for the community than just the sum of its parts. Partners for political, financial, and intellectual backing are crucial to getting a public space improvement project off the ground. These partners can range from individuals, to private or municipal institutions, to museums, to schools. By observing how a public space is used, it is possible to gain an understanding of what the community does and does not like about it. 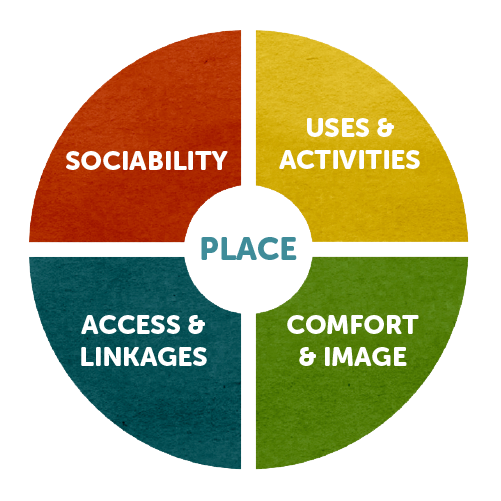 This understanding can be used to assess what activities and amenities may be missing from the space. Even after a public space has been built, observation is key to properly managing it, and evolving it to better suit the community’s needs over time. As with many other types of project, a placemaking project needs a vision to succeed. This vision should not be the grand design of a single person, but the aggregate conception of the entire community. A placemaking project does not happen overnight. Do not be discouraged if things do not go exactly as planned at first, or if progress seems slow. Triangulation is represented between a mural, cafe, and street vendor in Plazoleta del Chorro de Quevedo, located in La Candelaria, Bogotá, Colombia. Just because it hasn’t been done doesn’t mean it can’t be done. What it does mean is that there are few people, in either the private or public sectors, who have the job of creating places. A public space’s form factor should be formulated with its intended function(s) in mind. If networking and team building have been executed correctly, public sentiment towards the project should be positive enough to overlook its monetary cost. Placemaking is never “done”. 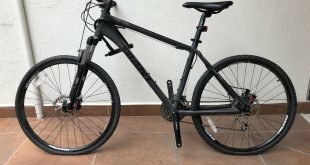 Minor tweaks can be made to improve the space’s usefulness to its community over time, and regular maintenance/upkeep of facilities and amenities is a fact of life. (2) Chris Matthews (2 November 1999). Hardball: How Politics Is Played Told By One Who Knows The Game. Simon and Schuster. p. 53. ISBN 978-1-4165-6261-0. Tags Museum Placemaking What makes a successful place ?